Once you decide that you want to install – a new fire or fireplace you then have two decisions to make, what type of fire do I want and who will install it. We hope that b & H Fireplaces on both counts. 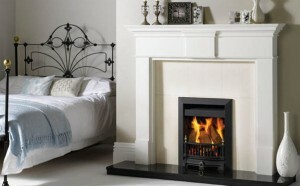 Firstly the type of fire which is very much down to style but also dependant on your flue type, room size and location in your home. We can install Flueless, Hole in the Wall, Outset and Inset Gas Fires as well as Electric Fires, all of which are available from the major DIY chains and numerous outlets online. 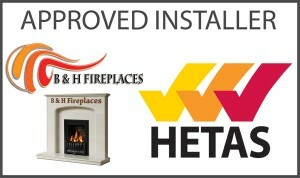 Secondly we hope that you will chose B & H Fireplaces to install your Fire & Fireplace. There are of course a number of companies offering installation, but few offer a full home survey preferring to ask you to take photographs of your property, fill out lengthy questionnaires and then if you miss out some detail it can end sending your installation costs soaring with additional work required, abort fees etc, many will also ask for full payment before the installation. B & H Fireplaces Installers do not work that way. We carry out a full Home Survey where we can advise you on suitable products before you have ordered them, and then discuss installation requirements, give you a full and detailed quote and explain exactly what you are paying for. We like to think that what sets us apart is that we understand that we are only as good as our last installation and we really do care about our reputation and our clients. That is why we do not ask for payment other than deposit until your installation is complete and you are 100% satisfied with our work.